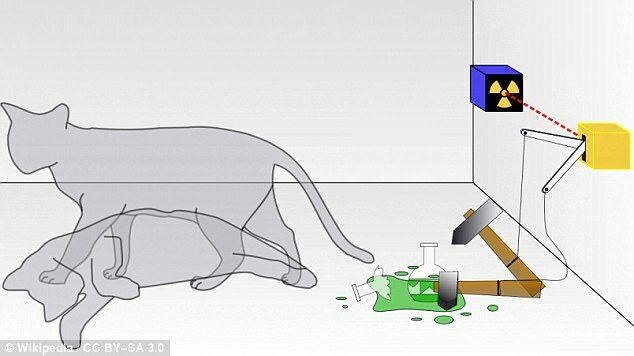 Scientists have developed a way to 'breed' Schrodinger's hypothetical cat in a breakthrough experiment that could bridge the gap between the quantum and the visible - or classical - worlds. The cat in the famous thought experiment can be alive and dead at the same time, in a quantum phenomenon known as superposition. But, whether this effect translates to larger objects has long remained a mystery. Physicists have now created a way to amplify pairs of classical states of light to generate 'enlarged' cats, in effort to uncover the limit (if there is one) of the quantum world. Schrödinger's cat is a thought experiment created by Austrian physicist Erwin Schrödinger in 1935. In the hypothetical experiment a cat is placed in a sealed box next to a radioactive sample, a Geiger counter, and a bottle of poison. The observer cannot know whether or not an atom of the substance has decayed, and consequently, cannot know whether the vial has been broken, releasing the poison and killing the cat, until the box is opened. This means the cat is both dead and alive inside the box, a mixture of both states, until the box is opened. 'One of the fundamental questions of physics is the boundary between the quantum and classical worlds,' says CIFAR Quantum Information Science Fellow Alexander Lvovsky. 'Can quantum phenomena, provided ideal conditions, be observed in macroscopic objects? 'Theory gives no answer to this question – maybe there is no such boundary. In the new experiment, the researchers 'bred' the physical analogue of the Schrodinger cat. This, in this case, is the superposition of two coherent light waves, in which the fields of the electromagnetic waves point in opposite directions at once. Based on an idea first proposed over a decade ago by researchers in Australia, the team bred these states to create optical 'cats' of higher amplitudes. 'In essence, we cause interference of two 'cats' on a beam splitter,' said Anastasia Pushkina, co-author and University of Calgary graduate student. 'This leads to an entangled state in the two output channels of that beam splitter. 'In one of these channels, a special detector is placed. Doing this, the researchers converted a pair of negative squeezed 'cats' of amplitude 1.15 to a single positive 'cat' of amplitude 1.85. Over the course of the experiment, they generated several thousand of these enlarged cats. 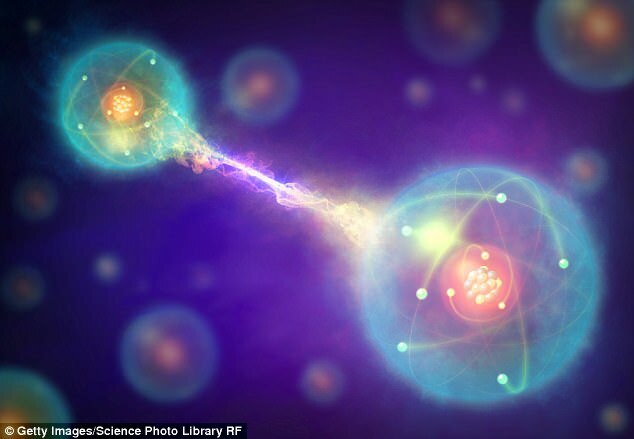 According to the researchers the experiment has implications for future work in quantum communication, teleportation, and cryptography. 'It is important that the procedure can be repeated: new 'cats' can, in turn, be overlapped on a beam splitter, producing one with even higher energy, and so on,' says lead author Demid Sychev, a graduate student from the Russian Quantum Center and the Moscow State Pedagogical University. Sydney's royal suite: Inside Pippa Middleton and James Matthews' luxury $19,000-a-night honeymoon suite - and Kim and Kanye have stayed there too! Moved on? Paris Jackson snuggles up to a mystery man three months after split from boyfriend Michael Snoddy New man? Sony SRS-XB40 has a built-in multi-coloured line light, speaker lights and a flashing strobe. It features 24 hours of battery life and claims to be a 'mini-disco on the move'. But does it live up to the claim? Samsung's new Galaxy S8 phone is stunning, but its $100 price hike is hard to swallow. Overall the S8 is for those who want elegance - and are willing to pay for it. With the eagerly awaited Galaxy S8 having been pushed back, South Korea-based Samsung has plugged the gap with the Samsung Galaxy A5, a high-end device with a mid-range price tag. Google's $79 headset is superb in terms of hardware - but is currently let down by a lack of apps. However, it has absolutely huge potential to finally bring VR to the masses. Google's Pixel handset is good, and boasts an amazing camera and smart assistant. It's the king of the Android handsets - but still not great. Microsoft's Xbox One S has shrunk the giant console by 40%, and is stunningly designed console with 4K HDR capabilities - but comes with some caveats. Apple has added a few improvements to the smaller version, creating a tablet that is astonishingly powerful, but, unlike its big brother, is something you'll be able to carry everywhere. It's not cheap, but the $699 (£500) Zeppelin Wireless is perfect for the design conscious music fan.